Original, creative, out-of-the-box thinking extends beyond art into all facets of life. By producing their own crayonimal characters, it will inspire creativity in youth and a sense of ownership and confident accomplishment. Professor Noodles McDoodles is artist Bob Dornfried as a costumed character simulating the cartoon version of Professor McDoodles. Artist Bob Dornfried has appeared previously in a related venture as CrayonMan in the Kids TV Show “Yes I Can” with CrayonMan” (CT based/3 seasons/sponsored by AT&T). “Professor Noodles McDoodles” is a new character creation and was conceived (A) because the costume is easily and quickly worn, (B) because kids like to be visually stimulated, entertained and intrigued which keeps them attentive and (C) as a vehicle to convey humor with the antics of Professor McDoodles “similar humor as CrayonMan”. The name “Professor” was chosen to help instill the importance of education (higher education), which is something students can aspire to. 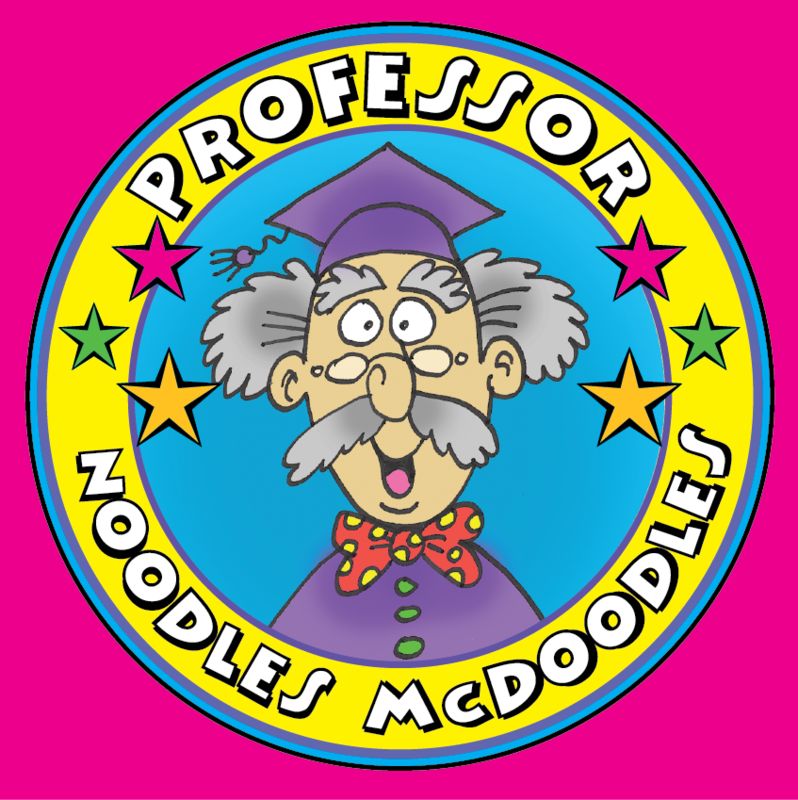 The name ”Noodles”, aside from the humorous aspect of the name “Noodles”, is also a slang for the brain/intelligence and is part of Professor McDoodles call to action statement “Listen to McDoodles… Use Your Noodles” which will be emphasized throughout the program (encouraging kids to use their minds). The name “McDoodles” was chosen as a tie to the action of doodles, (or doodling), which will also be encouraged as a fun way to express themselves and be creative. CrayonMan may be referenced during the program and students may be directed to the website www.CrayonManFan.com as a further means of learning and expressing themselves (there is no monetary offering on the website and it is created merely as a means of free entertainment and a creative learning outlit) I look forward to another successful season with Hartford Performs and the great teachers and students in the Hartford School System!